Some go to the dentist to pull a tooth while others might use a door or a pliers. For for one American dad though, he decided on something more epic - a helicopter. Rick Rahim, aka Helicopter Dad, decided to pull out his son’s using almost an almost 1,000 horsepower twin-engine chopper to sort out his son’s loose tooth problem. Looking surprisingly relaxed about what was about to go down, the child stands with a long piece of string attached to his tooth while at the other end is the helicopter. 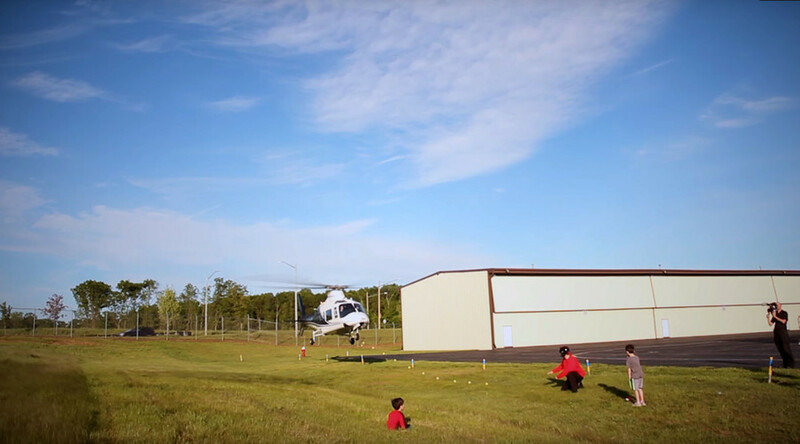 Helmed by Rahim, a commercial pilot in Virginia, the helicopter can be seen slowly lifting off the ground, removing the tooth in the process. Rahim isn’t the first, nor will he be the last, to use an alternative approach to removing a child’s tooth. In fact, there have been numerous parents who’ve decided to add a little fun to the proceedings, including drones, motorbikes, dogs and baseball bats.